I know its been a while, but I'm back. I've been up and down trying to promote my action-packed nuclear thriller: Ionshaker Desperate published on Amazon 24th September 2013 (please tell a friend). But this post isn't about me. Its a about friend of mine who is on a journey to complete four books. Today she’ll tell us how it all started, and how she is able to go to work, be a wife, a mother and last but not least…BE A WRITER!!!! Please introduce yourself and say something about your writing. Hello there! My name is Tara Ford, author of the women’s fiction/humour book, Calling All Services. This is the first of four novels about the different lives of one family. 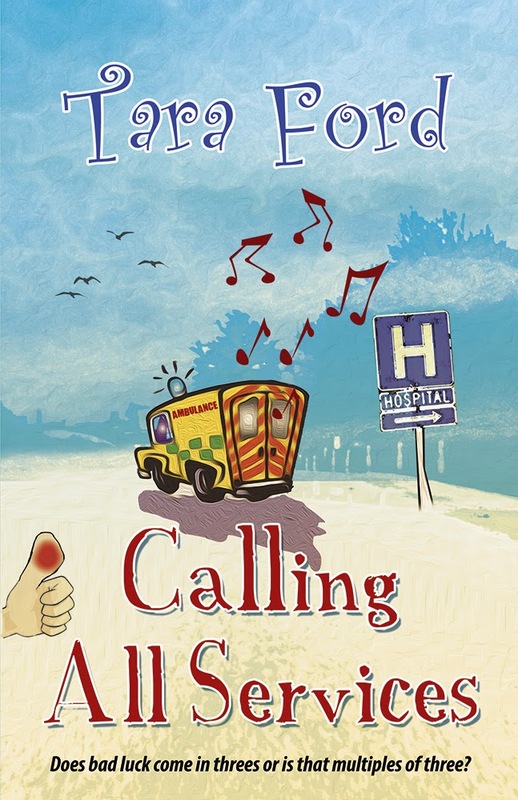 The members of the family reign throughout the series either directly or indirectly and therefore all four books have a common beginning to their titles – The Calling All…series. I have just completed the second book, Calling All Dentists, which is currently with my publishers – awaiting ‘the verdict’! The third, Calling All Customers, is a work in progress, which I hope to complete late in 2014. My aim is to then write, Calling All Neighbours, in 2015. Wow Tara, I should emulate your determination and focus on your story. Tell us something, do you also write with other pen names? I don’t use a pen name…yet. I do however, have a ridiculous idea for a children’s book and may well write down my idea at some point and see where it takes me. If the idea does evolve in to anything, then I have made up a pen name already by using my first name and maiden name and twisting them around a bit. How does Tessie Hara sound? Tessie Hara sounds great!!! And now that you mentioned children…tell us about your childhood, what was it like? Memories of my childhood are quite sad ones as my parents divorced when I was about 9 years old. I struggled to come to terms with it and this affected my schooling for some time. However, I also had the best of both worlds as I grew up – everything was doubled! Two lots of Christmas presents and birthday presents, double the amount of holidays that my friends had and a beautiful new brother that I may have never had if my parents hadn’t split up. All in all, my childhood was filled with books, reading, an over exaggerated imagination and lots of creativity as I made my own little story books with bits of paper. Interesting, so does it mean as a child you knew you’d be a writer? Umm…I always knew I wanted to write but I never imagined for one minute that I would actually be classed as a writer – but I suppose I am now. Yes you ARE…and how long have you been writing? Like I said earlier, I used to make up little story book with lots of pictures, when I was very young but my first real experience of writing something creative came when I was 15. I wrote a long story for my English homework – which was subsequently removed from my English book and deemed as inappropriate material for school and for my age – Oops, maybe not quite along the lines of Fifty Shades of Grey though. After that, I didn't bother anymore but I always had a deep-set desire to write something – I just didn't know what. And what are some of the challenges you had to overcome when writing your first book? I think the most obvious challenge is the decision on how to publish. There have so many different options out there and it can all be quite confusing and over-bearing to a new writer. I spent almost about 6 months just researching the different options. The other challenge for me was believing in myself and having the courage to put my writing out there for all to see. Aha…and how do you juggle being a mom, work writing? I really have no idea how I do it! I have a family, a full-time job and a naughty Husky to look after. Luckily, I work in a school so the school holidays come in very handy, when it comes to writing. My four children are grown up now, so I suppose they take slightly less of my time to rear and nurture – although I don’t think you ever stop rearing or nurturing them. We still have two children/young people living at home and I am relieved that they are still there otherwise I think my dear husband would go stir-crazy when there’s no one left to talk to. I try hard to incorporate my marketing efforts into watching the TV with the family, in the living room, whilst my laptop is on my lap. I hear you on that. Now, tell us about your latest book in one or two sentences? 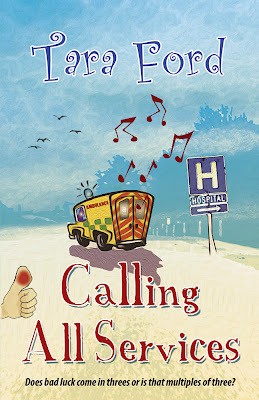 Calling All Services is a peep into the lives of one family, over the course of one unusually, eventful week. A rollercoaster of emotions could have you laughing, crying and cringing as the week unfolds to reveal one disaster after another. The members of the Frey family may never be the same again. Now that you’re already published, in your opinion how can indie authors stand a chance in this competitive writing industry? I think you must have a strong desire to succeed and be very determined to put in a lot of hard work. I remember reading somewhere that writing the book was the easy part and I now quite agree with that statement. You need to create an internet presence in order to gain new readers and potential fans. Very true indeed. How do you spend your free time, what do you do for fun? Umm…what’s that? Free time? Fun? Oh yes, I do remember those times. No, seriously and sadly, the thing that I like to do for fun (and it’s very sad as far as my family are concerned) is write! In my free time – I write! I see a clearing in the distant future where I will have my time for fun and free-time but for now, I love to write. I’ve got quite a few years of catching up to do, as far as I’m concerned. You really love writing. Do you have any favorite quote you’d like to share with us? ‘If life throws you a lemon, make lemonade’ Joan Collins. A very positive way of looking at things right? Now I wanna ask you some goofy stuff. Who’s your favorite actor, actress, book and writer? My favourite actress would have been Marilyn Monroe but if you mean one that is still with us, I would choose Jodie Foster. Favourite actor – Anthony Hopkins. So I take it you've watched Elysium, (though I liked Matt Demon better than Joddie) Anyways, back to your book. What do you do to promote your books? Everything I can possibly do! I like to help to promote other authors and I feel that this, in turn, will help to promote me. I also love to do interviews like this. I search constantly for possible book reviews and try to keep my blog up to date and interesting (if that’s possible). I also use Facebook and Twitter on a daily basis to ensure that I am networking as much as possible. All in all, it’s very time-consuming and a lot of hard work but I’m prepared to do it – even if I only gain a couple (sometimes one – maybe none) of new readers each month. Okay, lets now shift gears a bit. Have you ever lived out of U.K? No, I’ve always lived in the UK but I did go through a spell where I wanted to move away to somewhere like Spain. That momentary blip has gone now and I’m quite happy to stay put in the UK for the rest of my life. I see. Are there any New Authors you are interested in for us to watch out for? and Why should we watch out for them? I think there are so many good, new authors out there. It’s hard to say, who to watch out for because I think it depends on who puts in the most effort to promote themselves. Yes we will watchout for you. If there is an upcoming write that you’re speaking to, what would be your advice? Just keep marketing your product in any way you can. Design some posters, make some business cards, network on as many social networking sites as you can handle. Carry a spare copy of your book around with you – you never know when you might bump in to someone who might be interested. Get as many reviews as you can. It has been a pleasure speaking to you Tara, hopefully we will do this again in the future. Thank you for your time. 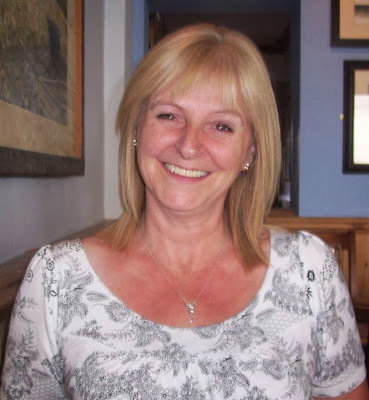 Lovely to read more about you, Tara - I SO admire people like you who manage to produce novels with children and a full time job to contend with too - and you do your blog! Never mind Sophie Kinsella - I'll do the 'we are not worthy' thing to you, too!